When I tried out for Little League, part of making the team was proving you could catch a fly ball. A coach set up a machine that shot the ball high into the air and landed very near where each player stood. When it was my turn in line, it was clear they were still working out some of the kinks. On my first attempt, the ball fell well short of my spot in the field. On my second, the ball sailed over my head. As they zeroed the machine in for the third attempt, I began to lose some confidence. But the third fly ball was right on target and I prepared to make the catch. Unfortunately, it wasn’t to be. The ball fell cleanly past my outstretched arms and struck me squarely on the head. The recent referendum vote by the United Kingdom to exit the European Union struck global financial markets squarely on the head. Part of the impact came from investors trying to anticipate outcomes as markets reflected the changing odds of a vote to leave. But the bigger challenge remains the uncertainty over what comes next. How does Britain negotiate its exit over the next two years, particularly when 63% of British exports have benefited from free trade created by the European Union? Just as important, will other EU countries consider following Britain’s lead? As investors, we deal with various uncertainties in many ways. We assess the need and desire for risk to help our investments grow, and we build balanced portfolios with years of potential income in less volatile investments like bonds. Thoughtfully designing and maintaining our portfolios and managing our expectations help ensure our long-term success. But despite all of our best efforts, we can’t always know where the ball is going to fall. While the Brexit has dominated the current news cycle, it is unlikely to result in meaningful structural changes in the near-term. The referendum vote is best viewed as the beginning of a process, not the end. Politicians must now get down to the hard work of structuring the exit, ensuring that the complex economic ties are unwound with minimal disruption. In the interim, the global economy plays on. We have no shortage of uncertainties to deal with, fly balls that may soar past us or land well short. Consider how the Greek debt crisis riled markets a few years ago and then quickly faded from concern. Similarly, Congress’s budget stalemate in 2014 shut down the federal government for weeks, but companies, the markets and investors barely missed a beat. 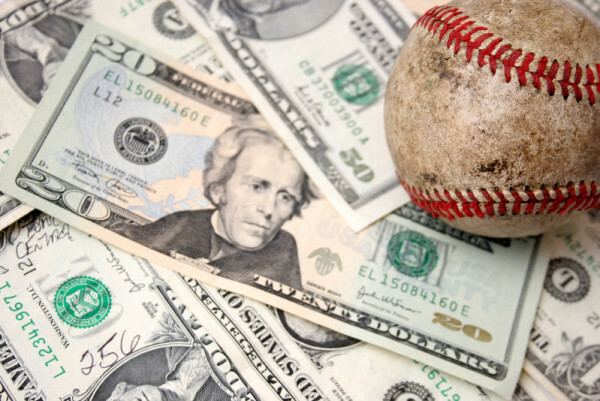 The impact of the Brexit, changes to the Federal Reserve’s monetary policy, the U.S. presidential election, slowing Chinese growth – all are fly balls ready to be caught. Investors must prepare for such uncertainties, trusting that eventually each one will land. A well-constructed portfolio can be the equivalent of a properly placed glove – keeping us in the game and preventing us from getting struck on the head.